It is late afternoon in Tiretta Bazaar. Hand-drawn rickshaws clip across crowded, chaotic streets. A motley crew of fruit, juice and peanut vendors lines the pavements. A dental clinic advertises the services of Dr Mao Chi Wei. Nearby at the D’Ley restaurant, people stop for a quick bite from its vast menu of hoisin chicken, momos, chow, etc. Inside D’Ley, two little girls, the daughters of the proprietor, are chattering in Hindi, having an after-school lunch of meatballs and vegetable curry which looks like it’s been generously dosed with turmeric. D’Ley means “land of good luck”, says the rather reserved proprietor who otherwise doesn’t deign to speak much. An elderly Chinese gentleman sits at the counter, looking out unblinking at the ever-noisy street. In a narrow lane is Hap Hing Co, a Chinese provision store run by Stella Chen whose grandparents came to Kolkata in 1930. Across the road, the Sing Cheung Sauce Factory is bustling with customers — its shelves heaving with bamboo steamers, tiered pots for making chimney soup, sauces, tea, noodles and other Chinese staples. Diagonally opposite, at Pou Chong Bros Pvt Ltd business is brisk too. Both are well-known pedigreed Chinese goods stores located in Tiretta Bazaar, or what is known as the Old Chinatown, in Kolkata. “Do you have veg chow masala?” asks a guy with henna-streaked hair. An attendant in yellow and red clothes with the legend Pou Chong on the shirt hands him a few small sachets of various spice mixes. “No, I am looking for the special mix,” he says as he hands them back. D. Roy is here with his colleague Tanushree Gupta to pick up pre-mixed chow spice powder. 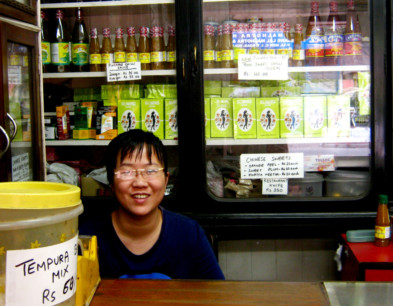 Janice Lee enters from a door at the back and takes over, sorting through packets of spices. The attendant gets busy looking to the needs of a young fellow who has just asked for 25 kilograms of the signature tomato sauce. Another is taking out tins of jasmine tea for a preoccupied elderly woman who is perusing a poster on the wall advertising piping hot, freshly made momos. In multiple glass cabinets and wooden shelves, salted black bean packets jostle for space with bottles of sauce, mushrooms, black fungus, rice sticks, glass noodles, rice vinegar, jasmine tea, herbal medicines and jars packed with sweet and sour dried plums. Outside, a large crane is demolishing a rubbish vat, creating bursts of loud, staccato noise making conversation difficult. “They are breaking down the vat,” says Janice. The vat is being demolished to clean up the area as Tiretta Bazaar gets revamped under The Cha Project, an urban regeneration initiative which aims to preserve one of the world’s oldest Chinese settlements — the Old Chinatown — and develop what is known as the New Chinatown (Tangra). These two areas house Kolkata’s 4,000-strong Chinese community, the largest in India. “Cha” is the word for tea in Bengali and Chinese, hence the name. The project, conceptualised by Singapore-based conglomerate BuzzzMedia, will help the state tourism department revive Tiretta and Tangra, and give a fresh lease of life to the area’s architectural heritage. BuzzzMedia has several Kolkata-born Singaporeans on board, many of whom are Chinese from Tangra and Tiretta. Collaborating on this project is INTACH (Indian National Trust for Art and Cultural Heritage) dedicated to heritage conservation and preservation. When it is over, it will look like a version of Singapore’s Chinatown — think of kiosks selling Chinese food, shops selling crafts, cultural centres and tea lounges. 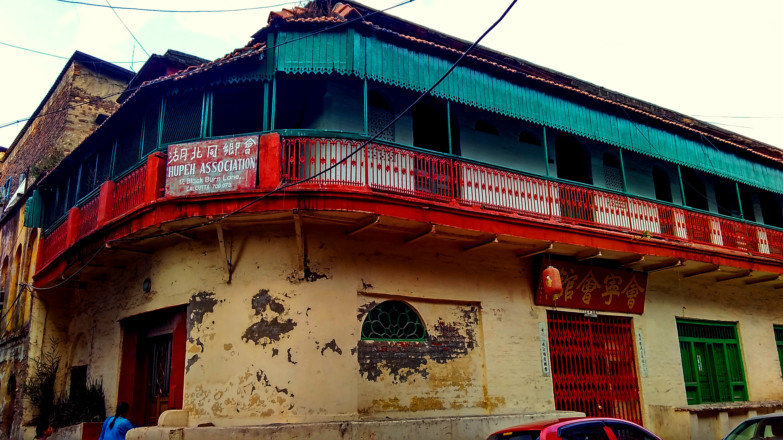 Apart from putting the churches/temples on the map, also in the pipeline is the revival of Pei May, the last surviving Chinese language school in the city, a cemetery and an opium lane. There are plans to build tea houses which will serve as cultural centres. “Chinese education means incorporating the arts — calligraphy, music, martial arts. I played the flute and mouth organ. Hence Chinese art and crafts will be revitalised as part of the project,” says Paul Chung, president of the Indian Chinese Association. As the Indian Chinese do not have a place to display their history, Chung says, a museum will be created under the project in Old Chinatown. It will showcase the history of the community through dioramas, layered photographic backdrops, architectural reconstructions and old photographs. 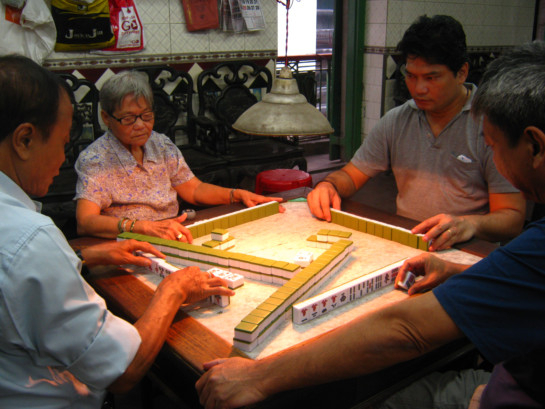 Chung’s grandfather came to Kolkata at the beginning of the 20th century. “He was a tailor in China. He set up three shoemaking shops — on Esplanade, Bentinck Street and Bow Bazaar. Dad couldn’t send us back to China because of the revolution in 1949. He had a farmhouse, a shop and a hotel in China. But the Chinese government took them away. They had kangaroo courts then, we may have had to stand trial, face harassment or worse. So we never went back. First home goes, you stay in the second homeland,” he says, smiling. Chung studied in Don Bosco and went on to become a teacher in technical drawing. He retired as the Assistant Principal of Liluah Don Bosco. “This is one of the oldest Chinatowns in the world — it is more than 230 years old,” says Janice’s father Dominic Lee, a fourth generation Indian Chinese and the Director of Pou Chong. He’s also a member of the Cha Project team. We are sitting in Lee’s office in Tiretta. A strong smell of soy and oyster sauce pervades the room. The first floor of the building has rooms full of their signature line of sauces. Lee’s great-grandfather came to India from China in the 1850s, escaping the upheaval caused by clan wars. “The British were also bringing Chinese to India to help with tea plantations, the bustling opium trade and sugarcane. The word ‘cheeni’ comes from there,” he says with a twinkle in his eyes. Our conversation turns towards the first Chinese who settled in Kolkata. In 1778, a traveller Atchew and about 100 others set up a sugar plantation and mill in Atchipur (named after him). “Tiretta Bazaar is full of history. There’s an Armenian church here, a Portuguese church, a Zoroastrian temple and the Anglo-Indian Bow Bazaar barracks. There used to be a Jewish synagogue too, but only the plaque remains now. This used to be the main commercial area when the British were around. It was the hub of traders. The docks were nearby and you could see the ships over the top of the buildings in the distance,” he says. We step out on to the crowded street, as Lee talks about the project. Since Kolkata is a city of foodies, it comes as no surprise that one of the items on the Cha Project agenda is a food street, somewhat like the ones you find in Singapore. As we walk around, Lee points out the hidden throwbacks to a rich Chinese culture of Tiretta. I come across a plaque that says Chen’s Carpentry Works, next to a grilled-up door. Yellow Chinese letters adorn the wall around it. Many houses in the neighbourhood have Chinese lettering on the doorways. Further ahead is a large red and green building with a curved balcony — this is the Hupeh Association. The migrants from Hupeh were mostly dentists. The project work will start with Toong-On Temple in Blackburn Lane built in the 1920s, that used to house the legendary Nanking restaurant. It was featured in a recent Bollywood film, “Detective Byomkesh Bakshy!”, an adaptation of an old and popular Bengali detective fiction series set in the British era. Nanking was a swinging place, a hotspot for celebrities, but lies in utter disrepair today. It might also be converted to a heritage centre. The area has six churches which will be part of a cultural heritage walk. These are traditional Buddhist-Daoist Chinese temples. “They were called churches as the ‘church’ tag got you special privileges under the British,” Dominic tells me. These temples also function as clubs — community spaces for people to gather in the evenings, play games such as mah-jong, chat over tea, pray and hold meetings. All the temples are named after the places from where people came — such as the Sea Ip founded by migrants from counties in China’s Guangdong province. The Yi Xing church has an altar with a phoenix, and pears carved in wood symbolising good luck. “The deity here is that of war. He was a general,” says Dominic. People are sitting around several tables playing mah-jong, scrutinising their chips underneath low, overhanging lamps. Lee introduces me to one of the players — Michael Lama, a chef with China Valley restaurant who returned to the city after a stint in Dubai because “his roots were here”. 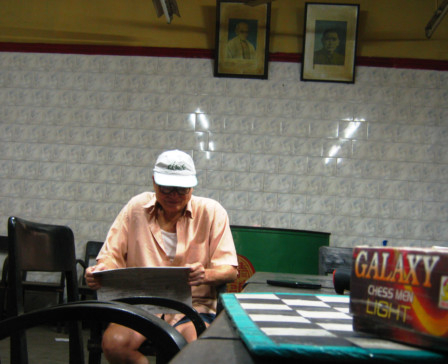 A lone gentleman sits reading the day’s newspaper at the Sea Ip church. Chinatown had two Chinese newspapers, one closed down. The “Overseas Chinese Commerce of India”, the last remaining Chinese language newspaper in the country, is published from Tangra. It translates world news into Chinese, carries obituaries and notices about marriages, and listings for local and businesses such as restaurants, dentists, beauticians and hotels. It used to be handwritten in beautiful calligraphy. Photos of Dr Sun Yat Sen and Gandhi hang in the dimly lit, vast rectangular entrance hall. On another wall is a framed 1837 map of ethnicity and occupations of the area — English 3,138, East Indian 4,746, Portuguese 381, Chinese 362, Armenians 636. I meet Lawrence Ho and Chen Yao Ha, who hope the Cha Project will help revive the community. They come to the club every evening to chat, exchange news. Chen is third generation. Lawrence’s son is a hairstylist with Toni & Guy and his daughter works for MAC cosmetics. Chen’s children are settled in Hong Kong and China. They talk about the Sino-Indian War of 1962 that changed everything. This was when many of the community’s civil liberties were taken away, restrictions placed on movement, some people’s Indian passports were revoked, arrests were made. Celebrations and festivals disappeared from the streets. Many Chinese migrated to other countries. Lawrence, whose grandfather first came from China, says at least 60,000 people were here before the 1962 war. “Many were working at the docks. After 1962, they were persecuted. No passes were issued to the docks, their livelihood was taken away. They weren’t even allowed to go out of this area without the permission of the police. I was eight or 10 years old then. We were uprooted. I was taken to the Deoli camp,” he says. Lawrence, Chen, and others from the community are cautiously optimistic about the project. “We hope it does some good, helps us is some way. Let’s hope we are not isolated,” says Lawrence.